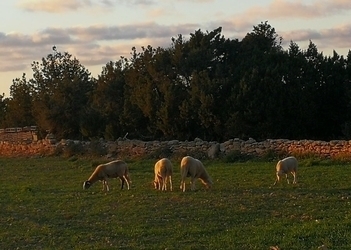 In light of recent incidents in which dogs have attacked local livestock, the president's office of the Formentera Council wishes to remind islanders that according to municipal statutes, pet owners are responsible for “leashing or otherwise restraining animals on public roads” and “muzzling any pets whose temperament means it is recommended”. The information has been posted at major notice boards and agrarian areas across the island, including a reminder that “violations carry fines of 30 to 15,000 euros”. The notice also provides details about the laws governing ownership of potentially dangerous animals and states the designation will be applied to “any canines displaying a particularly aggressive character or having attacked people or other animals previously”. Department head Bartomeu Escandell encouraged owners of animals which could pose a threat to island livestock or animals like hens to “step up to the responsibilities inherent to animal ownership”. Escandell said that apart from injuries sustained by the animals themselves, the victims of such attacks are “livestock owners—small-scale farmers who are keeping local traditions alive and maintaining the beauty of our natural surroundings”.